More than aesthetics, science is breeding new, non-browning produce with additional benefits. Manipulating genetics of produce comes up against its share of critics, but the science behind the new non-browning Arctic apples and Innate potatoes is designed to do more than improve the look of food—it’s intended to increase consumption of fruits and vegetables while also (in the case of Innate potatoes) reducing naturally occurring carcinogens. 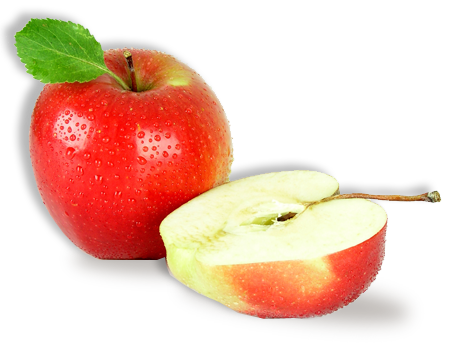 Created in the Okanagan by Okanagan Specialty Fruits, the Arctic Granny apple and Arctic Golden apple were deregulated by United States officials early this year with Canadian approval of the fruit following shortly thereafter. It’s a positive step towards encouraging a greater consumption of the popular fruit according to Arctic apple founder Neal Carter. It was in 1990 when Carter learned about the research into non-browning potatoes. Based on the suppression of gene traits, the apple grower saw an opportunity for an increase in fresh cut apple consumption through enhanced visual appeal that could help combat declining North American apple consumption. The J.R. Simplot Company, in the United States, saw its Innate potatoes deregulated in 2014 and the FDA concluding the potatoes are as safe as conventional potatoes in March. The company is expecting Health Canada approval by the end of the year. There are three varieties in the first generation: Innate Ranger Russet, Innate Russet Burbank and Innate Atlantic. Director of marketing and communications with J.R. Simplot, Doug Cole noted that the company, which has been in the potato industry for about 85 years, set out to solve the five problems with potatoes: they bruise easily, they contain asparagine (a precursor to acrylamide—a known carcinogen which is produced when potatoes are cooked at a high temperature), they are susceptible to disease like blight, they build up sugar content in cold storage and they are susceptible to nematodes. With the introduction of the first generation of Innate varieties, they’ve solved two of the problems: bruising and acrylamide (there is 70 per cent less of the amino acid in Innate potatoes than conventional potatoes). The second generation, which Cole said is going through USDA approval, solves North American blight and the cold storage issue. While the science behind the produce is somewhat complicated, in its simplest form, both the Arctic apples and Innate potatoes have certain genes suppressed by combining genes from other varieties. Cole noted potato farmers are currently only able to fresh pack and sell about 60 per cent of their potato harvest as whole potatoes due to black spot. With the Innate varieties, that rate goes up to about 85 per cent. While science is behind the produce, both the apples and potatoes are grown the same way as conventional varieties. Where both products are likely to find the biggest traction in the marketplace is in fresh-cut produce sales. “The simple convenience of ‘baby’ carrots doubled carrot consumption when they were introduced, and fresh-cut products like fresh apple slices could potentially take off in a similar manner thanks to the non-browning benefit,” Carter said. Cole agreed, noting that about three billion pounds of potatoes are thrown out every year in the United States due to cutting out of black spots and browning when cut and when cooked. With Innate potatoes, this would reduce the waste by about one billion pounds. “You can peel potatoes ahead of time with no browning,” he said. Plus, like the apples, it opens up the opportunity for fresh cut potatoes for things like “ready-to-cook” fries without any preservatives or additives. Cole further notes that consumers are excited because of the convenience of Innate potatoes, while Carter can see a market of fresh cut apples for salads and snacks. Success of both products will come down to public acceptance. Arctic apples have been planted in several locations with dozens of requests from growers in the United States and Canada for trees, according to OSF. The first test market Arctic apples will be on sale in the fall of 2017. Innate potatoes were planted this spring and will be on sale in this fall’s harvest in the United States. A writer since she first held a pen, Ronda Payne is passionate about words. Years ago, she kissed “9 to 5 jobs” goodbye and began her true career as a copywriter, freelance writer and creative writer–much of that writing is about agriculture. She has a passion for farming and spends a good deal of her research time in gumboots. 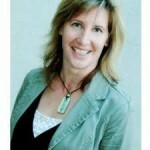 You can follow her on Twitter @agirlwithapen and read her work on girlwithapen.ca.